Our second artist is Tim Probert, who created the riotous homage to Sixpoint you see above. His furry, cultured creatures depict a familiar scene—friendships made over great beers. Tim has a cool website, too. Check it out here. Read on to learn more about the man behind the culture and what helped shape his unique style. 1)Tell us a little bit about your entry. What is the inspiration and story behind it? Well, Beer is Culture, and what could be more cultured than a couple of classy dudes enjoying a classy brew? I’m also a big fan of hand drawn text, so I wanted to include some of that, too. Mostly, I wanted to make something fun and lighthearted. 2)Do you have any academic or formal artistic training, or are you self-taught? I was trained in traditional painting and work as an illustrator. 3)Even before civilization, there is evidence of cave paintings by early humans. Flash forward to today, when perhaps the most significant innovation and development for the artist in the past 30 years was the invention and proliferation of the personal computer, which has a remarkable efficiency in generating art. How does art generated by the artist on a computer relate to some of the more conventional art forms? Computers have had a huge impact on art, both creating it and viewing it. Working on a computer allows you to do things that aren’t possible in traditional media, and can also speed up some processes. Plus it’s an awesome way to get your work out to the world. However, you lose the tactile nature of a pen on paper and all those happy accidents. I often miss having a physical object in my hands after finishing a piece. Finding a balance is the key! In the end though, it’s not about the tool. Art is art, whether it’s made on a computer or a canvas. 4)Who are some of the artists who have influenced you most? There are so many! James Gurney, Andrew Loomis, Hayao Miyazaki, Peter De Seve, Carter Goodrich, Dr. Seuss, Bill Watterson, Milt Kahl, Walt Peregoy, Nico Marlet, Scott Campbell, Jon Klassen, Corey Godbey…. I could go on forever. 5)We believe “Beer is Culture” given the synchronized parallel between the explosion of civilization, art, and culture and the cultivation of cereal grains by the earliest human societies. 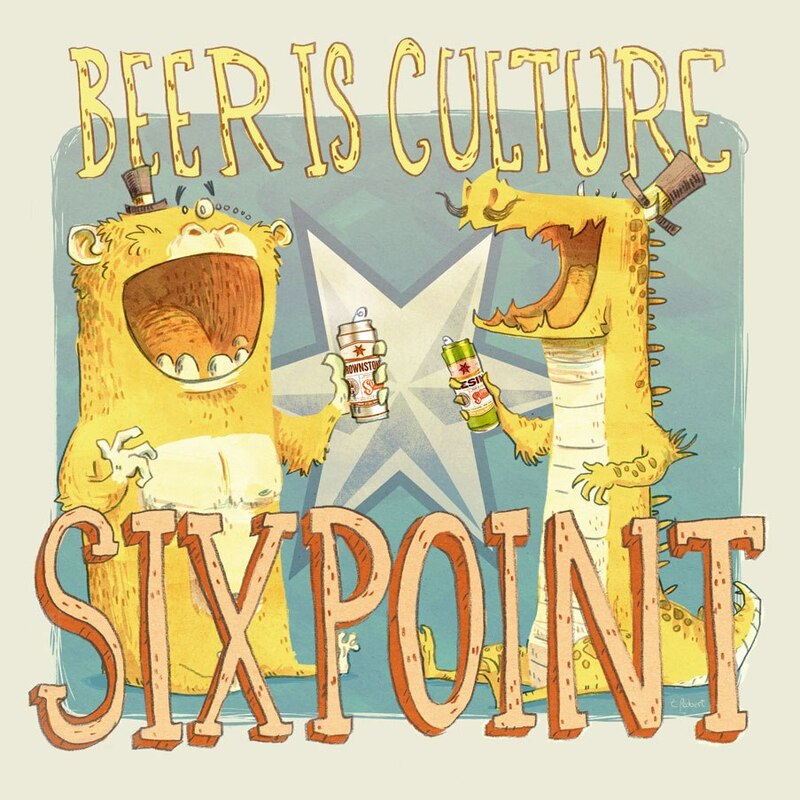 When you hear the phrase “Beer is Culture” what does it mean to you? I think of art. Brewing beer is an art form just like painting, making music, writing, cooking, theater, dance. The arts are an essential part of civilized society and help define our culture. Visit the 2013 Beer is Culture 2013 art gallery and vote now!